Patented tongue and groove connection system and multiple internal extrusions allow for an impressive 125 pounds per square foot on 24" joist spacing! Patented two-sided planks with two contrasting colours. The beautiful and natural wood grain appearance gives you the look of freshly stained wood without all of the drawbacks. No splinters, No surface fasteners, and a patented wood grain tread for great traction! 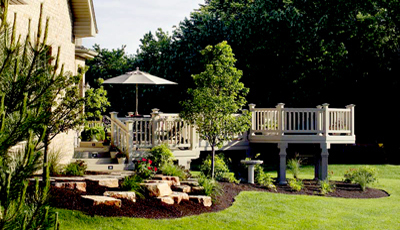 The walking surface of KC Fence & Vinyl Decking uses a state of the art three-layer extrusion process. The top layer is tough, pure vinyl to give colour fastness and a cool non-slip surface. The second layer is recycled PVC for strength and environmental responsiveness. The third is a flexible "dual-durometer" cushion (I call them "rubber strips") added to the "feet" of the plank to prevent the squeaking sound found in other vinyl deck products. 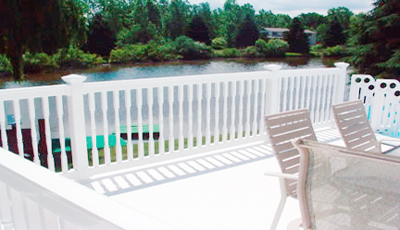 KC Fence & Deck LTD. carries a limited lifetime transferable warranty against abnormal weathering and discoloration. 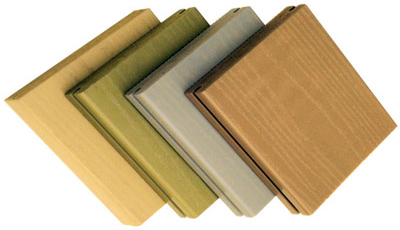 No other alternative vinyl product offers a better warranty! 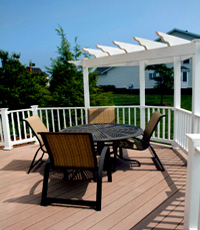 Plank length - 4", 6", 8", 10", 12", 16", 20" & 24"
KC Fence& Deck Vinyl Decking comes in 8, 10, 12, 16 and 20 foot lengths so you can design your deck with no seams! 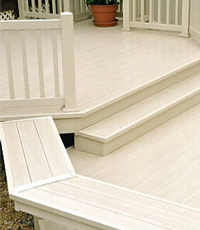 The decking is simply snapped onto PVC (Polyvinyl Chloride) installation tracks which have been screwed to joist framing. Removal is as easy. 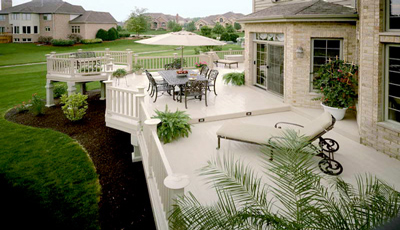 There are no visible nails, screws or counter sinkholes as seen in wood decks. 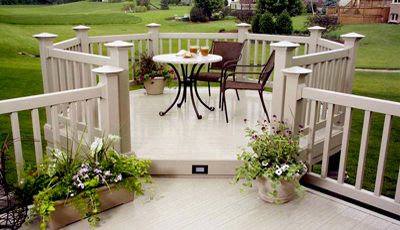 The ends of the decking boards are neatly finished off with a vinyl end cap.